Happy Sunday, my friends 🙂 I hope you’re having a cozy night with a cup of tea and a book (and now, maybe some muffins too!) What have you been reading lately? If you’re stuck looking for a good read, check out my new website section “Books I Love,” which I’ll be updating weekly with all my new favorites. 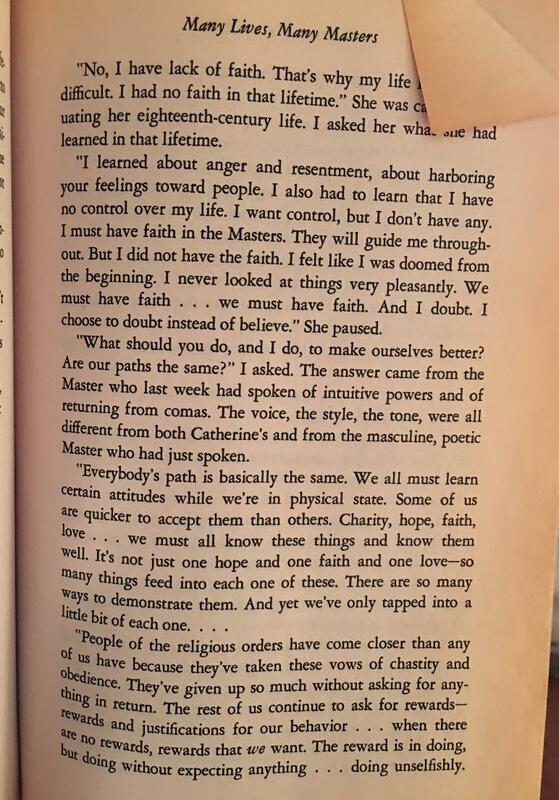 I just finished “Many Lives, Many Masters” on vacation and it changed my life in so many ways. I hope you guys like it! The next book on my schedule that I’ll be reading this week is called “The Anatomy of a Spirit.” I’ll be sharing an awesome chart from there with you guys about how each specific physical illness relates to a particular negative emotion or trauma. It’s so interesting and has been incredibly accurate for me. Anyway… let’s get to this recipe! Set the above aside to make your flax eggs. Grind up some flax seeds into a fine powder using a coffee grinder (or buy ground flaxseed. It’s much better to make it fresh because once ground, it easily goes rancid. Plus, you’ll save money buying it whole). Take 2 tbsp. of that flax powder, and combine it in a bowl with 6 tbsp. filtered water. Stir well, and place in the fridge to set for 15 minutes. After 15 minutes, the result should be a sticky egg-like substitute. This is enough to make a replacement for 2 eggs. If you only need to replace one egg, use 1 tbsp. ground flax to 3 tbsp. water. Preheat oven to 350F and line a muffin tin with 12 natural (unbleached) baking cups. Combine your sticky flax egg mixture with all ingredients except for the blueberries and chocolate chips. Mix well until the batter is fully combined and an even consistency. Gently mix in the blueberries and chocolate chips. Evenly drop the batter into your baking cups and bake for 15 minutes. Valentine’s Day Is Coming… Chocolate Ganache Truffles! These are so so good!!! Thanks for sharing!! Is oat flour ok to use ?